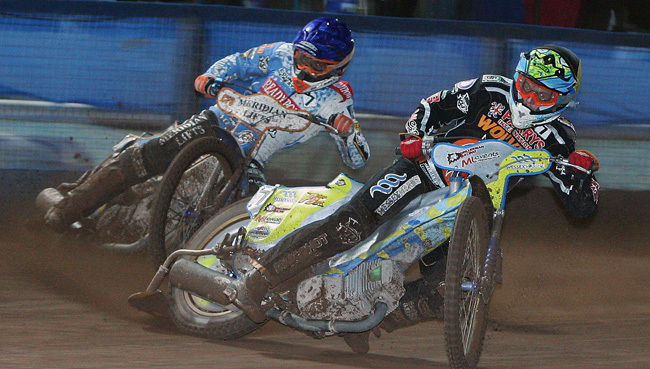 WOLVERHAMPTON suffered a 51-39 defeat in the first leg of their Elite League play-off semi-final at Poole. 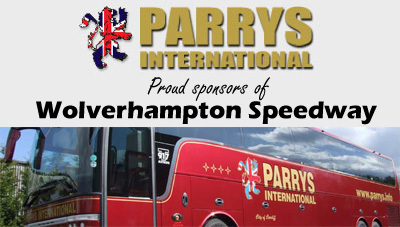 It means the Parrys International Wolves will have to overturn a 12-point deficit against the reigning Champions, if they are to reach their first Grand Final since 2009. Team manager Peter Adams admits it was a tough night for his side, but insists all is still to play for in Monday's second leg at Monmore Green. Said Adams: "It's obviously not the result we were looking for, but you have to remember that Wimborne Road is a difficult place to go to. "This tie is far from over and we'll be looking to make the most of our own home track advantage on Monday and we've got riders who are capable of scoring very heavily at Monmore. 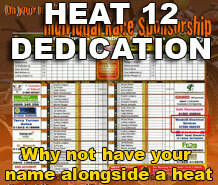 "We had a talk as a team at the end of the meeting and you can see just how much they want to make the final. "They're certainly not ready for their seasons to be over just yet - they're well up for the second leg and there's no reason why we can't reverse that scoreline on Monday." 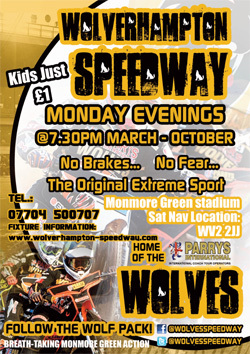 It was a mixed night for all of the Wolves riders with nobody managing double figures. Jacob Thorssell top scored with eight points with the pick of his rides coming in heat three as he pulled off a gutsy move to charge past his opponents down the back straight to lead a crucial 5-1. Tai Woffinden recovered from two last places early on to secure back-to-back race wins while Freddie Lindgren teamed up with Masters for a 5-1 in the sixth before holding off in-form Kyle Newman and Antonio Lindback to take the chequered flag in heat ten. Kyle Howarth put in a solid display at reserve while Peter Karlsson struggled for speed after picking up four points from his first two rides. 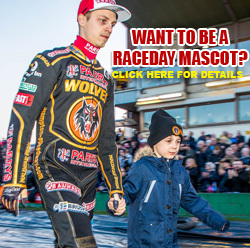 Youngster Max Clegg was much more in the mix than his pointless night suggests and he'll be looking to set the record straight around his own home track in the second leg at Monmore on Monday. The meeting gets underway at 7.30 pm and supporters are urged to arrive early with a bumper crowd expected. POOLE 51: Chris Holder 14+1, Kyle Newman 12+2, Brady Kurtz 7+1, Krzysztof Buzkowski 7, Antonio Lindback 5+1, Adam Ellis 5+1, Bjarne Pedersen 1. WOLVERHAMPTON 39: Jacob Thorssell 8, Freddie Lindgren 7+1, Tai Woffinden 7+1, Kyle Howarth 7, Sam Masters 6+1, Peter Karlsson 4, Max Clegg 0.